Purpose: The Zhen and Ren Wu Memorial Award Fund ("Wu Fund") supports graduate students in geophysics as they conduct thesis-related research, with an emphasis on students seeking careers in exploration industries. History: The Wu Fund was established by Ru-Shan Wu, Director of the Seismic Modeling and Imaging Laboratory, in memory of his parents. 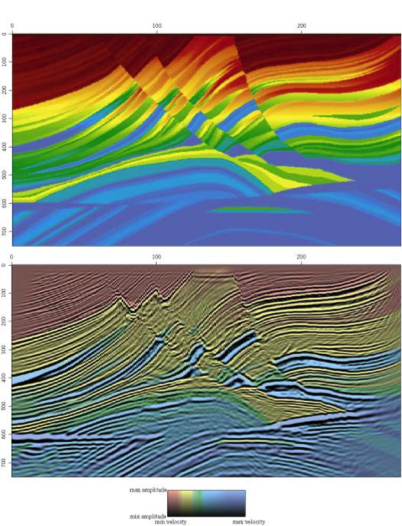 The Wu fund supports an annual award for graduate students pursuing Ph.D. work in geophysics, as participants of the WTOPI (Wavelet Transform On Propagation and Imaging Consortium) and working on a variety of geophysical research projects. Ru-Shan and his collaborators and students have had a major impact in theoretical seismology and imaging through their research and application of innovative tools, and the Wu Fund is a valuable legacy for future generations of exploration-minded young scientists. Status: The Wu Fund is currently endowed with $73,000. Endowment Goals: Our long-term goal for the Wu Fund is to grow the endowment to $350,000, permitting return on capital to support one quarter of graduate student fellowship (or equivalent research costs) in each academic year. Funds could be used to assist with recruiting and supporting outstanding new students, and/or to support existing students, who demonstrate potential for excellence in research. Our Request: Please make a donation to the Wu Fund in support of EPS graduate students in geophysics. You could make a one-time donation or pledge to give annually. Please use this link to open a new browser window that contains a form on the UCSC Online Giving page. The form should be "pre-populated" with information indicating your interest in supporting the Wu Fund.